This suite is below the main house, but is a seperate own 2 room (kitchen&bedroom) apartment with its own entrance. Your private bathroom is up in the carport just some steps away - It is a nice place priced cheap for Hilo! Come and enjoy! 6 Street-Parking spots right above the home not directly on the property but you can't miss it. Beach Towels and Bath Towels for your use to make the best out of your stay. No need to bring own towels. 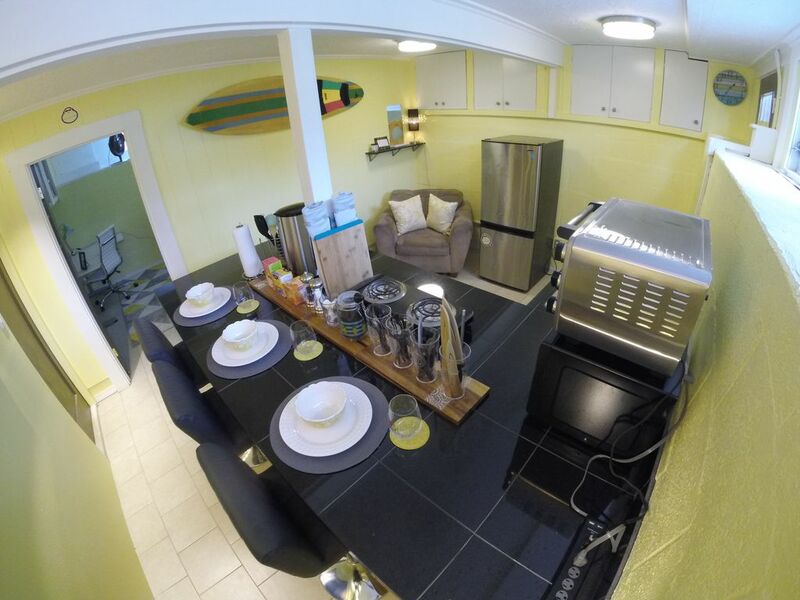 This studio is located in Hilo a stones throw away from restaurants and the waterfront. The home itself is clean and tidy and very comfortable to come back to in the evenings. The neighbourhood is quiet and free street parking available right outside the home. Whilst the bathroom is detached, it is private, clean and spacious. Great amenities such as a washer and dryer, iron, hairdryer, soaps and beach towels. Easy communication with the hosts who also left lovely chocolate goodies for us! Good value; we would definitely recommend this place.